At Manhattan’s upscale Park Avenue restaurant The Pool, you can enjoy everything from tuna carpaccio to dry-aged steaks, but even those with the greatest appetites occasionally need to bring some leftovers home. 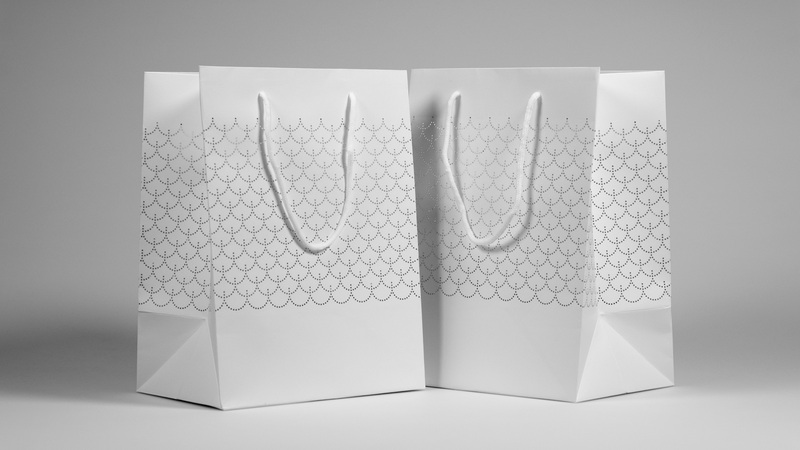 Working closely with branding studio Pandiscio Green, the creative minds at Brilliant Graphics crafted a to-go bag that not only fits that bill, but allows you to bring home a little bit of The Pool’s ambience, too. A seafood restaurant built on the grounds of the Pool Room of the famed former Four Seasons restaurant, The Pool gets its name from the square body of water that sits at the center of the dining room. Naturally when it came time to create a leftovers bag, this water theme was too much to resist. 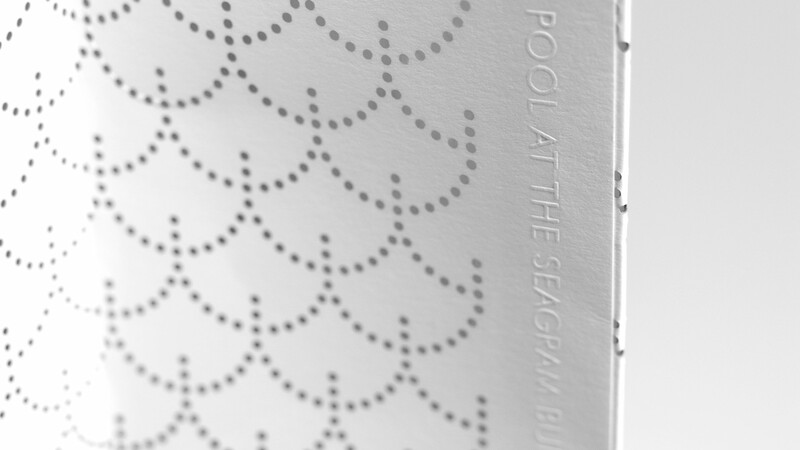 Starting with a 360 gsm uncoated paper usually reserved for fine art books – Arjowiggins Inuit Origin Blanc Glacier – Brilliant Graphics laser cut a fish-scale/ ocean wave-like motif – inspired by the scalloped pattern of the old Pool Room curtains – on all four sides of the bag. 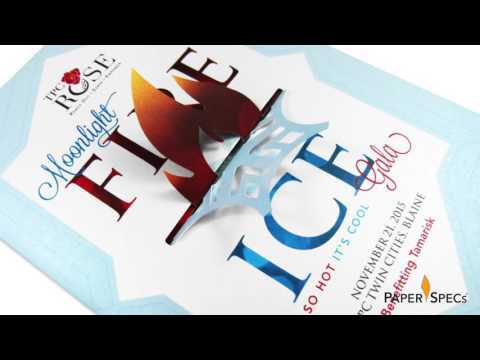 “We worked to ensure that there was no effective bronzing on the white stock from the lasering,” explains Brilliant Graphics’ Karen Eckelmeyer. 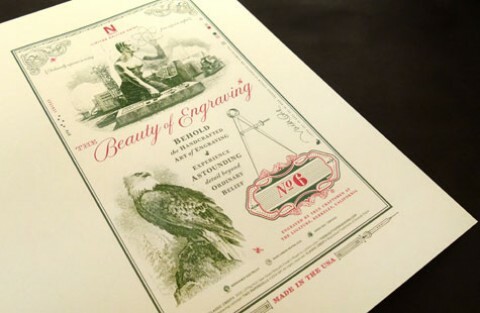 They ended up using a specialized laser cutter developed especially for artwork, which cut without discoloring the paper. In the end the bag was able to hold up to 5 pounds without tearing. A custom-made cotton handle was also added for comfortable carrying. 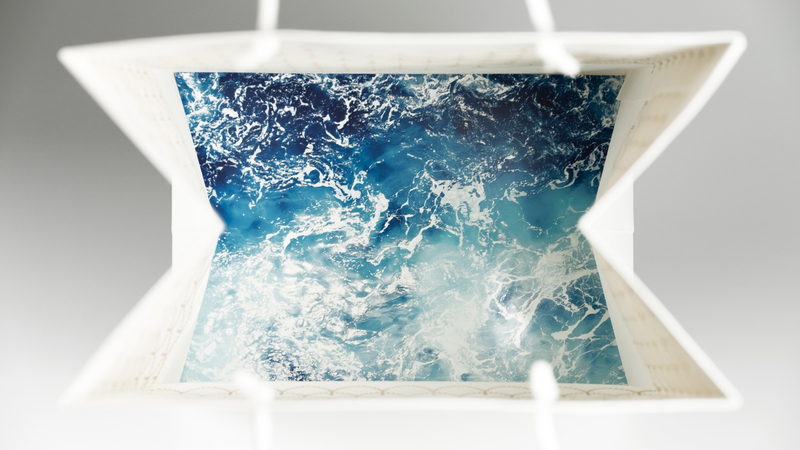 And to remind patrons of their “poolside” dining experience, Brilliant Graphics went that one step further, adding a support insert that features an image of roiling surf at the bottom of the bag’s interior, digitally printed on 11.2 pt. Chromolux 700 High White Cover. 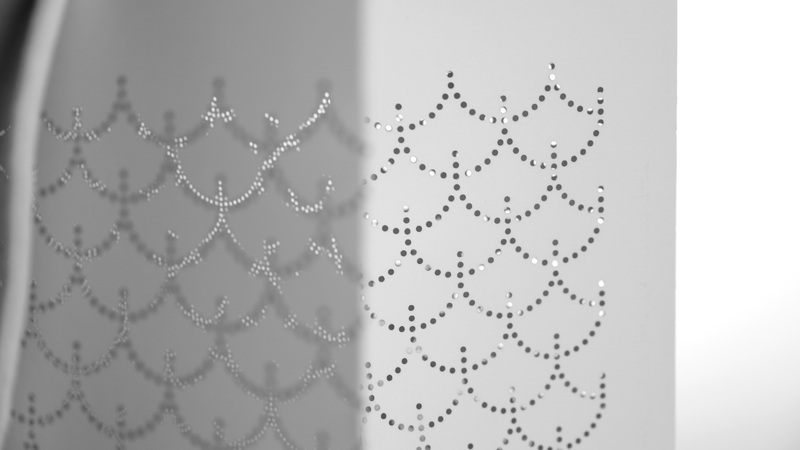 Something to behold when seen directly, it also teases passersby through the bag’s laser-cut perforations, too. “The clean look of the bag with a splash of color on the insert pays homage to the former Four Seasons’ décor,” Karen notes. 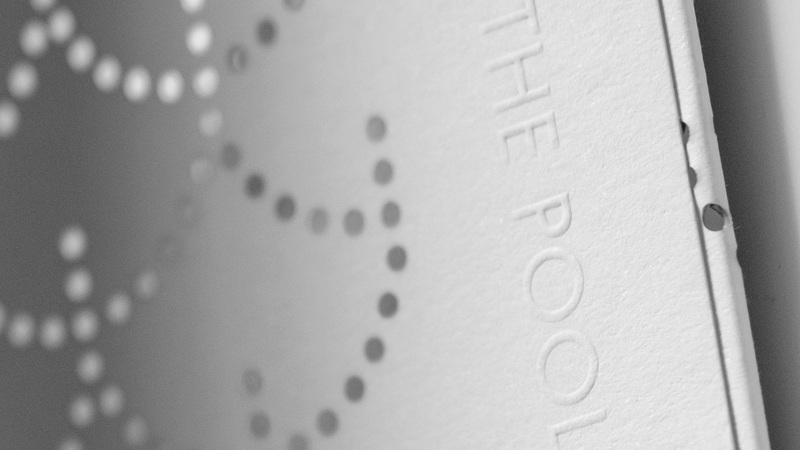 As a final touch, “The Pool” is blind embossed on the edge of bag. 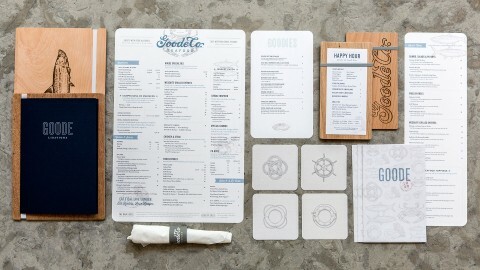 An elegant solution to an age old need, this is definitely – yes – a laser-cut above your traditional doggie bag. 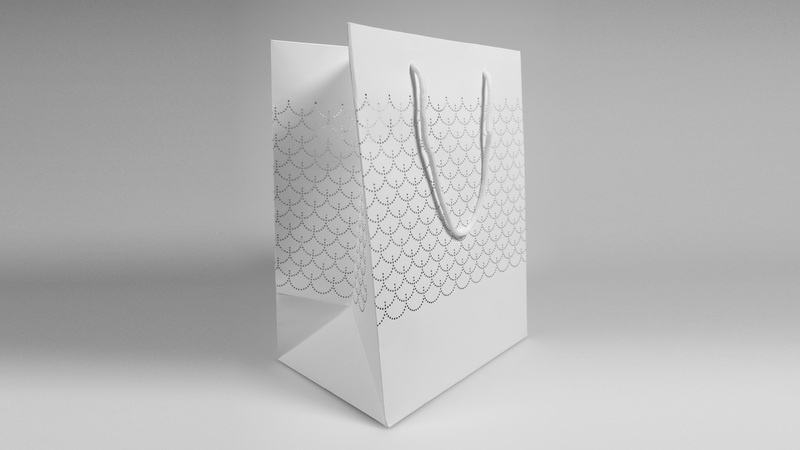 Title The Pool To-go Bag Client The Pool Date July 2017 Design Pandiscio Green Print Brilliant Graphics Richmond, VA Paper Bag: Arjowiggins Inuit Origin Blanc Glacier 360 gsm uncoated; Insert: 11.2 pt. Chromolux 700 High White Cover.